It's December 23rd, two days before Christmas. In the grand tradition that means it's time to raise the aluminum pole, celebrate Festivus, air some grievances toward the Pittsburgh Penguins and buddy do we have some things to say to you! 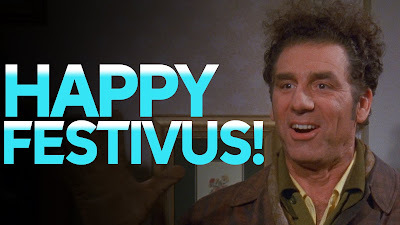 For the uninitiated, Festivus is a holiday that came from the Seinfeld's 10th episode in their ninth season. 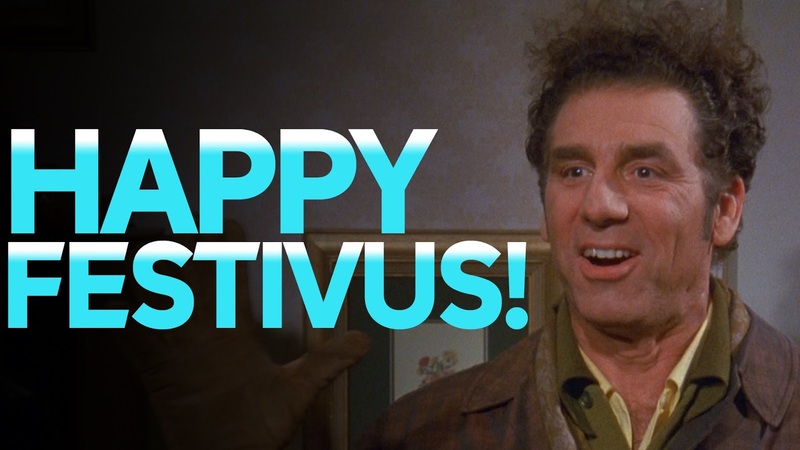 Seen as an alternative to Christmas by George Costanza's father Frank to spite the commercial aspects of the holiday, a metal pole (with no distracting tinsel) is foisted, feats of strength are performed, and everyone is gathered around the dinner table, and while there you air your grievances toward others around you. Now it's time to go around the table and air some grievances with our beloved Penguins! Let's begin! Sidney Crosby - You're the best in the world and for a while you didn't look like it! Where's the Sidney Crosby of the past two playoff runs! Jake Guentzel - Lately Guentzelvania has looked more Philly than Pittsburgh and that's not okay! You're better than this! Carl Hagelin - Do you even use your hands?! Do you think this is ice soccer?! Patric Hornqvist - Put a damn shirt on it's the holidays and we've all let ourselves go I don't appreciate the guilt trip! Phil Kessel - How can I say anything negative about the perfect human? Tom Kuhnhackl - Your last name broke my auto correct now everything will be ducking wrong! Evgeni Malkin - You cheated in the zamboni race and you know it! Carter Rowney - For someone born in Sexsmith, Alberta you seem pretty unsexsmithy. Bryan Rust - Your last name is too easy to make puns on quit making me lazy! Riley Sheahan - ...you're not Nick Bonino, are you? Conor Sheary - We're all asking Santa for more goals for you, our son. Dominik Simon - You seem like a good kid. Bless your heart. Ian Cole - Are you still here or is it the other Pittsburgh Cole that's been traded? We can't keep track. Brian Dumolin - Dumo, more like Du-No-Thing that one was hard okay leave me alone Dumo's been fine! Matt Hunwick - You're Ron Hainsey Lite and even then you're somehow too lite! Olli Maatta - If Olli's on the ice, does it really Maatta anymore? Jamie Oleksiak - Do you even go here? He doesn't even go here! Chad Ruhwedel - You're the Pokemon that is like five to every new pack. Justin Schultz - There was an eclipse this summer and it seems to still be blocking you, Sunshine! Matt Murray - You're not Marc-Andre Fleury! Tristan Jarry - You're not Matt Murray! Mike Sullivan - The team looks more like Johnston than Sullivan but I guess that worked out before? Jim Rutherford - We bought you $10000 worth of PF Chang's gift cards. Park yourself there for a while and get to work! The clarity in your post is simply excellent.